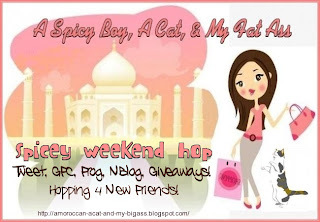 I'm new to blogging and I found your blog in the Friday Blog Hop. I really love your site and I hope to someday have one this nice. I'm also trying to live a healthier life and hopefully lose some weight in the process!! I love your blog name...it's why I went to your site. I also LOVE cats I have 2, both girls. New follower from the blog hop - would love if you followed back! Thanks for this hop!I also found you blog on Free Hot Samples Hoppin' Weekend and I am your newest blog follower. I would love for you to check out my blog and follow me back I would greatly appreciate it. New follower from the blog hops. I am also trying to lose weight and have had problems with anxiety disorder. Zoloft helped with one but not the other.